I love summer vacations! I’ve been fortunate to take several small vacations in Summer 2014, to fabulous southern cities to see and do things I’ve been longing to see and do for a while. Mom and I have Presidential Library Passports, and on a recent trip to Texas, we were able to visit all three libraries in three days. We started in Austin at the Lyndon B. Johnson library on the campus of UT. Then we headed to College Station, to the campus of Texas A&M and the site of the George Herbert Walker Library. 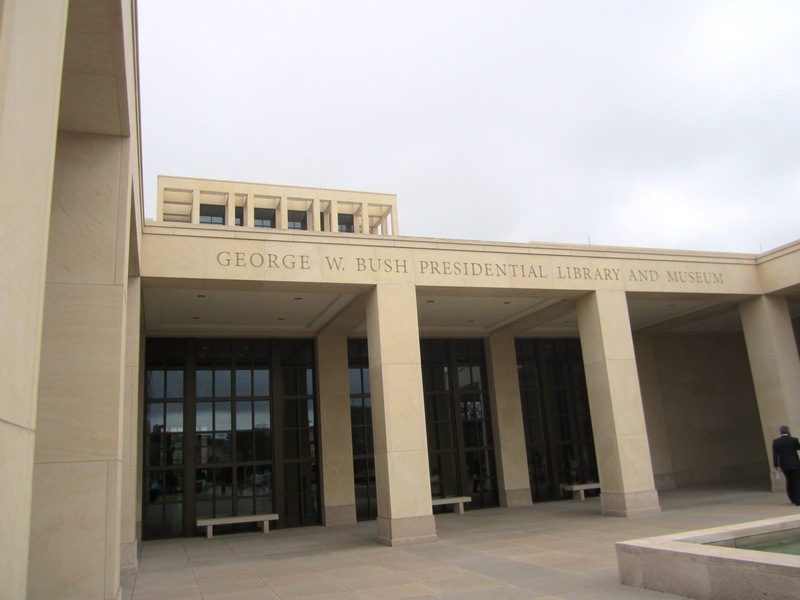 Finally, and certainly the most fabulous, over-the-top gorgeous presidential library of them all, we visited the brand new George W. Bush (you know, W, the younger!) library on the campus of Southern Methodist University in Dallas. 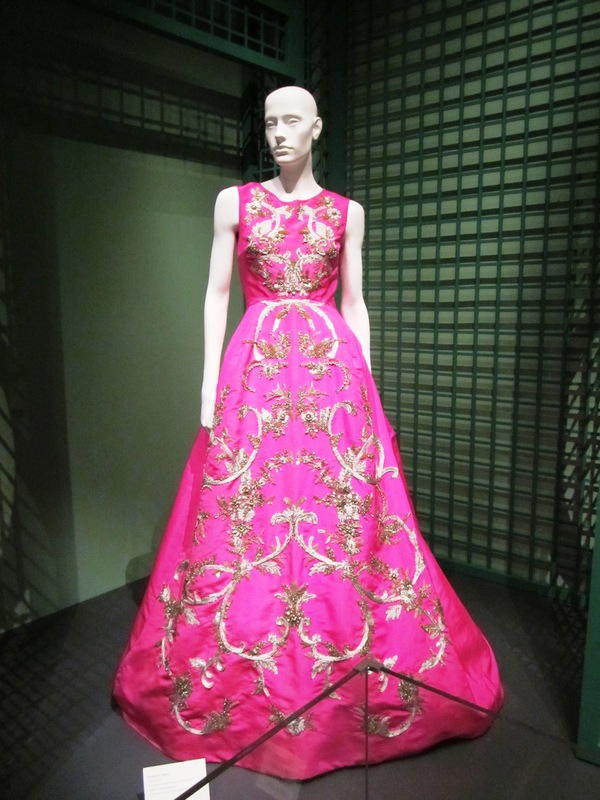 My favorite part is a temporary exhibit on Oscar de la Renta, featuring several gowns worn by Laura Bush while in the White House, and Jenna Bush Hager’s custom wedding dress. 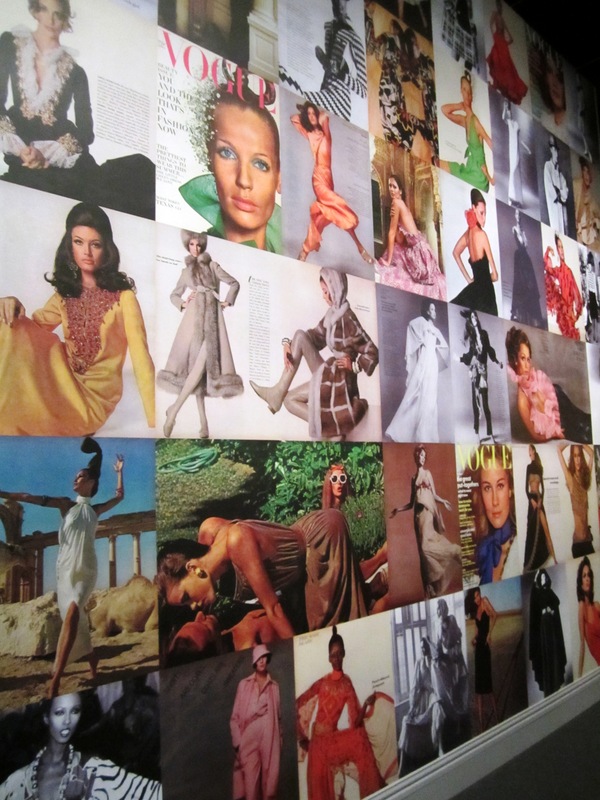 These pics don’t do the vibrant colors justice, but I think you’ll drool over them regardless. 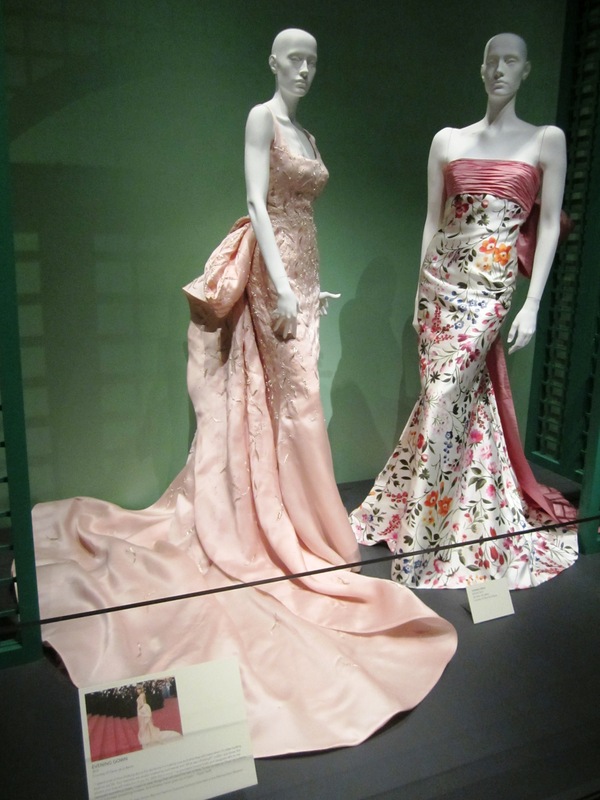 The pale pink gown in the foreground was worn by Taylor Swift. 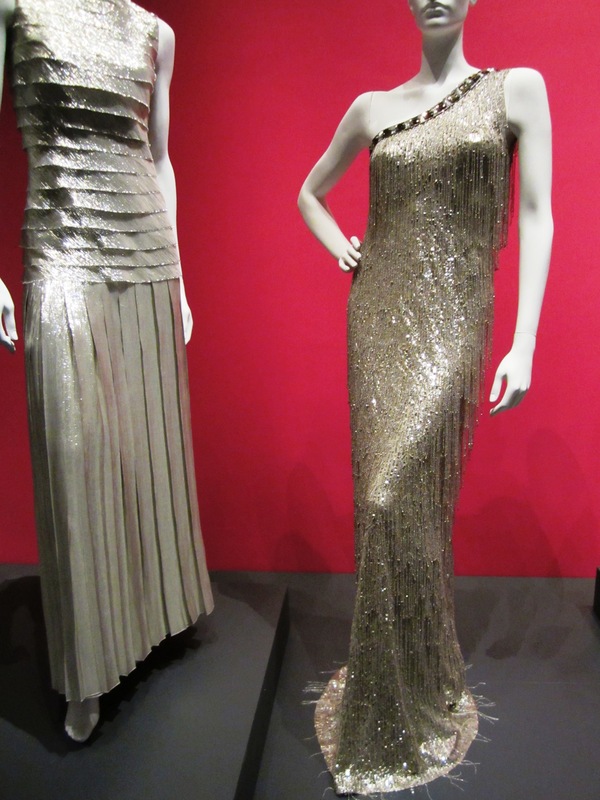 Carrie Underwood wore this shimmery metallic dress on the right. 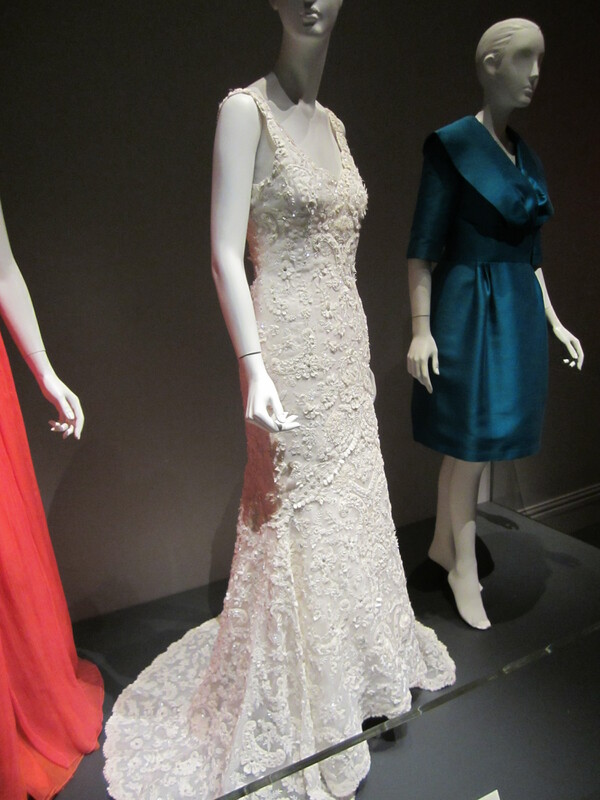 The white gown is Laura Bush Hager’s custom wedding gown. 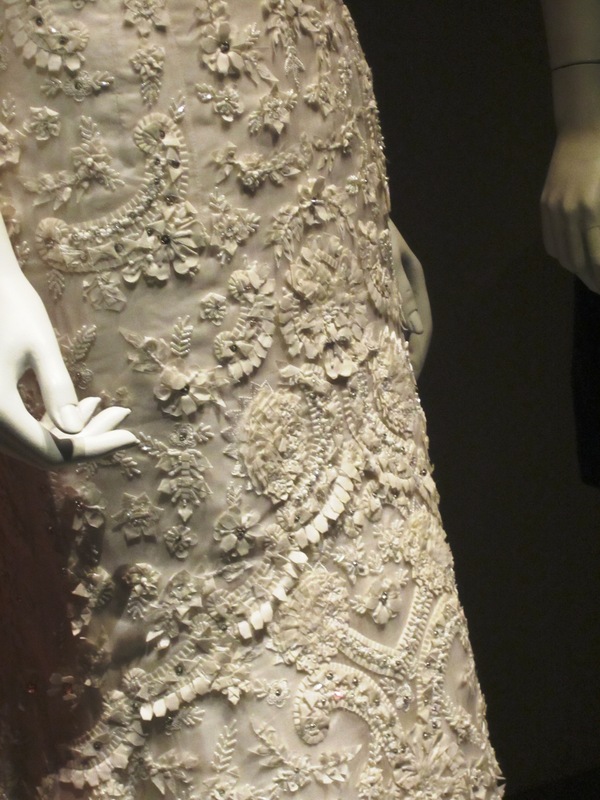 Detail of the beadwork on Jenna’s wedding dress. 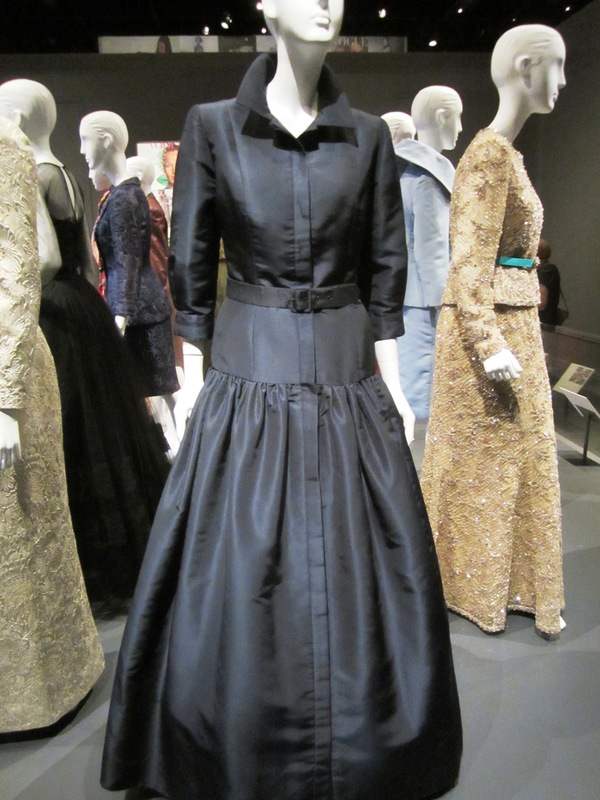 One of Laura Bush’s gowns worn while in the White House. It honestly looks 100% better in photographs where Laura’s wearing it with big gemstone jewelry, presiding over a formal affair. 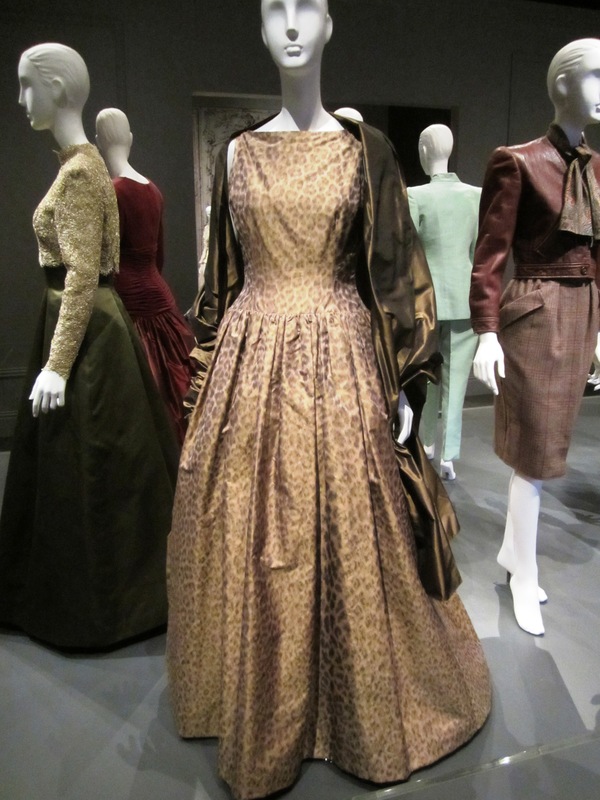 Hillary Clinton wore this as First Lady, and I loved the unexpected cheetah print! 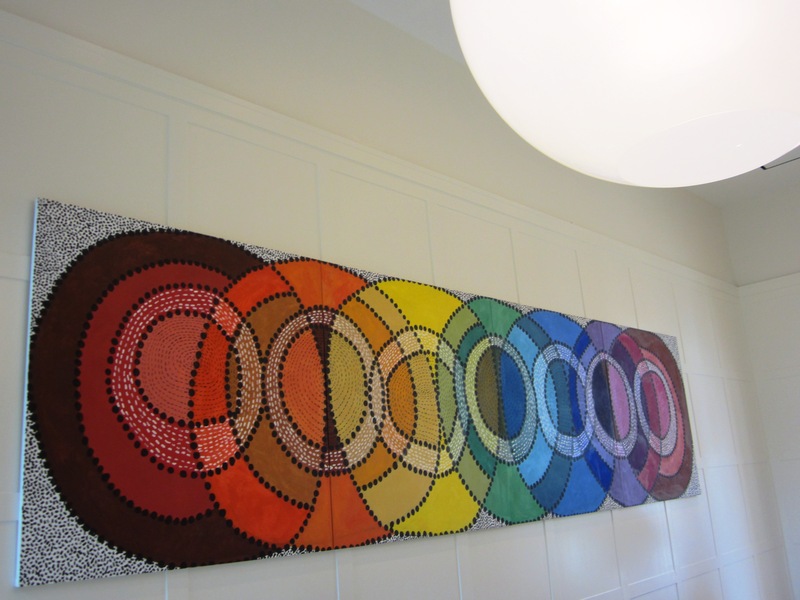 And this cool painting is hanging in the cafe at the library — nothing to do with De La Renta, but I didn’t want to forget this!